This is a wonderful drama stuffed with exquisite visual images and soaring snatches of Mozart’s music which combine to make a great theatrical occasion. In his old age court composer Salieri is recalling his apparently successful career, but unfortunately he is all too aware of his hollow achievements. His knowledge of fellow composer Mozart’s musical genius and his impoverished death make a bitter antidote to his public glory. 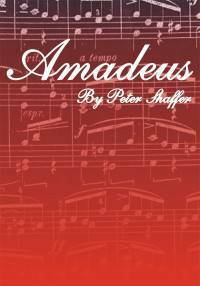 The play is set in Vienna in November 1823 and, in recall, the decade 1781 – 1791.